To see an innovative utility token in the saturated market of ICO’s seems at times difficult. Many crypto companies tell me as soon as you come up with a good idea, several others pop up as if someone was reading your mind. But this token proudly stands alone - that is for sure. 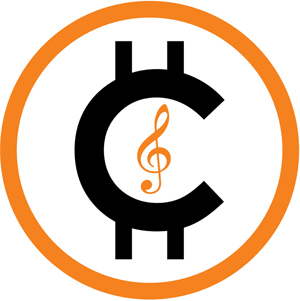 To get started earning CNOTE, head over to http://cnotemusic.net and signup. It takes less than 20 seconds. You will immediately receive 6 CNOTEs deposited into your account with lots of ways to earn more. This token provides fans of music blogs of any kind, payment in CNOTEs for: “proof of interaction” for reading, commenting, writing, photography and more. These CNOTEs can be redeemed for official band merchandise and gifts, cashed out as Bitcoin or Ethereum, or held onto for potential gains. In addition to fans, 8 other entities in the music ecosystem will have 8 different ways to earn CNOTEs in future versions. And it will not stop there, soon this token will be launched by publishers who serve content in any category from world news to weird gifts. It's important to note that nothing happens until a publisher buys CNOTEs. This is truly a Cryto whose value is driven by its own commerce. Of the top 500 cryptocurrencies currently on the market, less than 50 have working products. CNOTEs differs in that we are fully operational. The idea is brilliant in its simplicity and for that reason a full patent is underway.